In combination with the extended range of PEC test equipment, LifeTest supports the many specific functionalities required in battery testing labs. 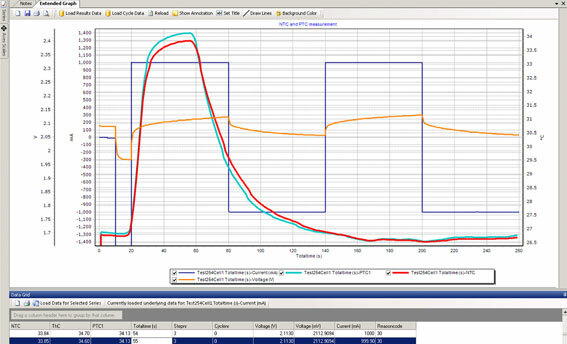 Drive cycle simulations (FUDS, DST…), thermal performance tests, high speed pulse tests (HPPT), life cycle tests, accelerated ageing tests and internal resistance measurement tests can be easily configured, scheduled, executed and reported from a single platform. PEC offers cell and module testers ranging from low power desktop and rack mount cell testers all the way up to high power test systems for cells and modules. All systems are based on linear technology offering excellent dynamics and precision. 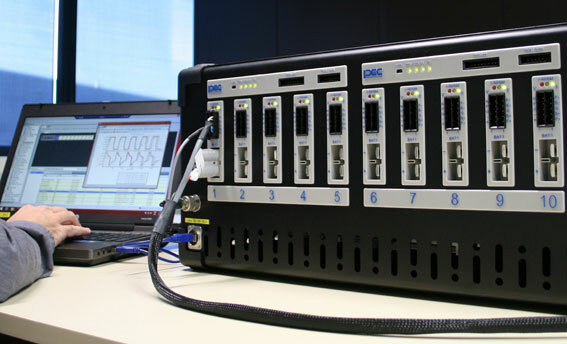 Systems are typically used in R&D, product evaluation, life cycle testing and end-of-line testing. 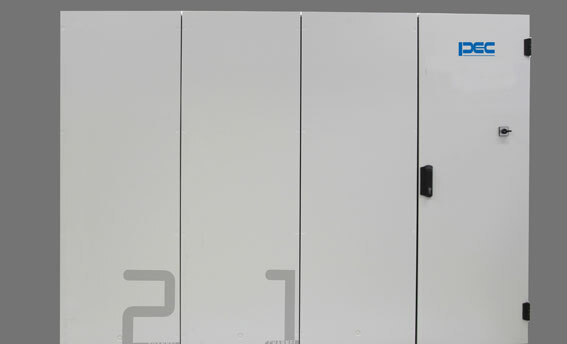 Most commonly used climate chambers in the battery industry are directly controlled from the test channels, not requiring any third party software interface. 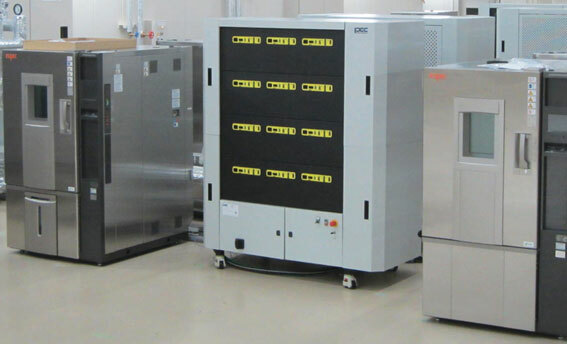 A major challenge in high power test systems is the thermal management of the equipment. Over the years PEC has used its vast experience in water-cooled power electronics to eliminate all unnecessary fans and implement an internal cooling system for the power electronics. This innovative cooling technique was introduced a few years ago in PEC’s cell formation towers. The same platform has now been standardized at PEC and will be used as the basis for all new PEC test systems. As an immediate effect of this high performance cooling platform the test systems will turn your cell testing lab back into area without heat and noise pollution. The improved cooling and elimination of external fans easily doubles the MTBF of the equipment, eliminates filter replacement and dust collection inside the power electronics. Most PEC systems offer an onboard temperature sensor per test channel. However this can easily be extended using our Auxiliary IO’s, offering analog and digital inputs, outputs, thermocouple inputs, NTC/PTC inputs, as well as BMS interface cards. All data collected from the IO’s can be used in your test programs, and outputs can also be set from the software. The Auxiliary IO’s offer a powerful platform for creating interfaces to your BMS system’s controllers over either CANbus, SMBus, RS485, USB… Customer specific interfaces can be offered on request. Datapoints can be set and collected over this interface and used in the test programs.